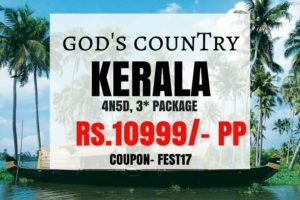 Are you searching for the best tourist places in India? Then, you are on the right track. 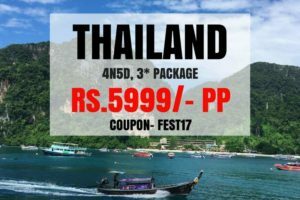 Everybody knows that Kashmir is the best tourist place all over India. But, did you know that there are even more hidden places or unfamiliar places that most of us are not aware of. Yes, one of such places is ‘ZANSKAR REGION’. It is the mountain range in the Indian state of Jammu and Kashmir and it is a part of Tethys Himalaya. It separates Zanskar region from Ladakh. 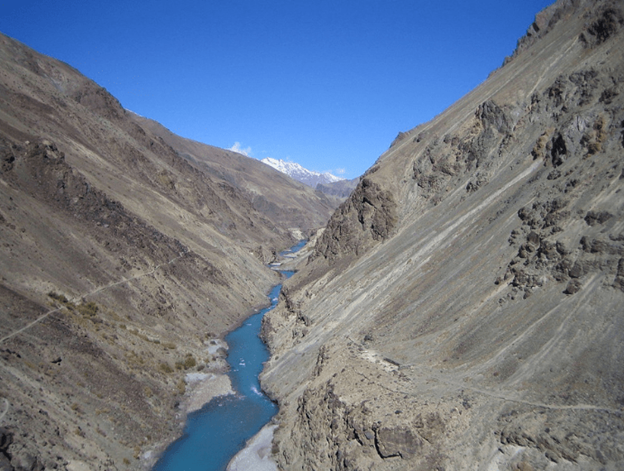 Zanskar region covers an area of 7,000 sq.km with the height ranging between 3,500 -7,000m. Thus, it contains most of the highest peaks of Himachal here. The civilization first in this region has started in the Bronze age. Erstwhile, there was a propagation of Buddhism in Zanskar, thereafter Zanskar and large parts of western Himalayas were overrun in 7th century by Tibetans. Zanskar and Ladakh, both together were a part of the kingdom Guge in the Western Tibet. Now, Zanskar is a sub district of Kargil district in the eastern half of Jammu and Kashmir state and the administrative centre is Padum. It is also known as the ‘Virgin Valley’. It is generally open for only 5 months a year. It is a less populated area and may not find any human beings for miles. Thus, facilities like mobile network, gas station or accommodation are all still missing. One must be prepared for all such paucity of facilities. It is also known as ‘Chadar Trek’. Chadar os the word used to describe the sheet of ice frozen on Zanskar River. 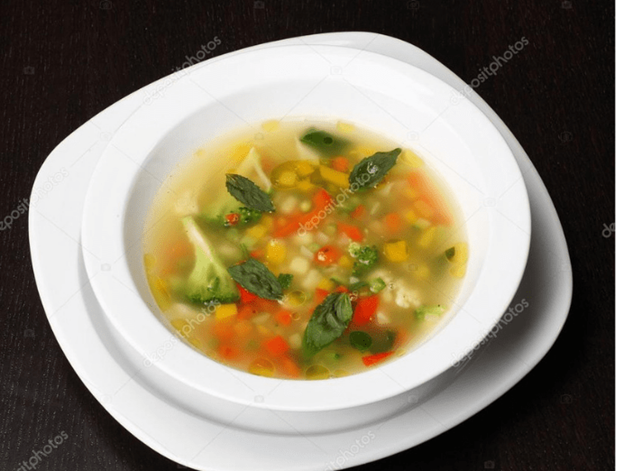 It is open only in fhe month of January and February; sometimes also in the month of March also. It is of 105km of length and to cover it we need trek in the pace off 18- 17km per day. 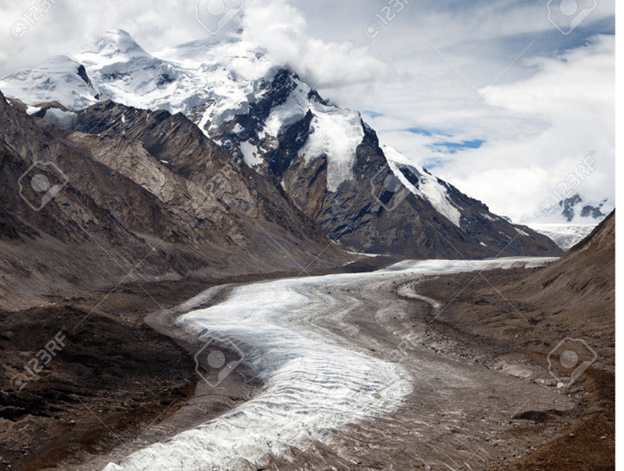 This is a mountain range which connects Suru valley region to the Zanskar Vallley region. The pass is about 25km from Rangdum Monastery ant it is about 4,400m above from the sea level. 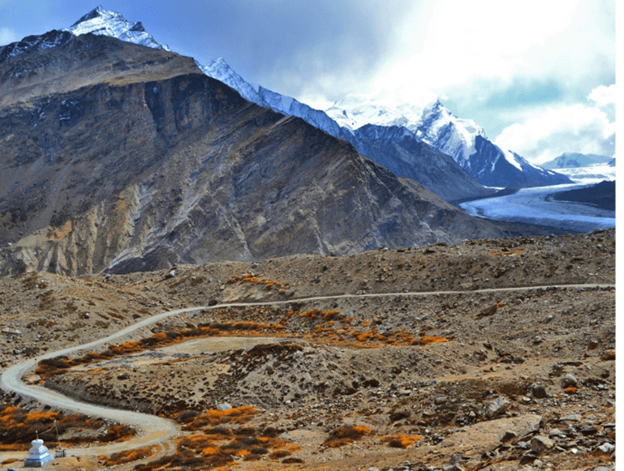 This pass is also known as the ‘Gateway’ to Zanskar. Earlier when the civilization has actually started in this Zanskar region in the Bronze age, there was a propagation of Bhuddism. Thus, Phugtal Monastery is a Buddhist Monastery. It is one of the monasteries that could be reached by foot. The main supplies for this Monastery are brought on horses and donkeys. This monastery has been a best place for retreat, meditation, learning and teaching. This glacier is near the Pensi La mountain pass. 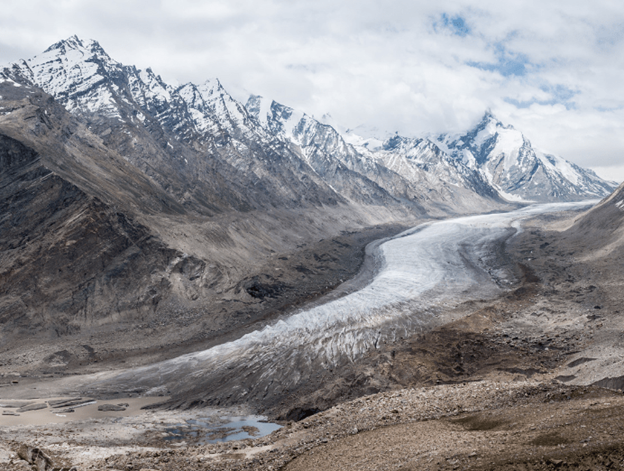 It is assumed to be the largest glacier in Ladakh with a maximum lemgth of 23km at a height of 4,780m. It lies in the northeastern Himalayan range i.e., 142km south of Kargil and 331km east of Srinagar. The road is open only in between the months of May to September. But the best time to visit the place is July to August. The population here is very less with just 14,000 people in this region as per the recent surveys. 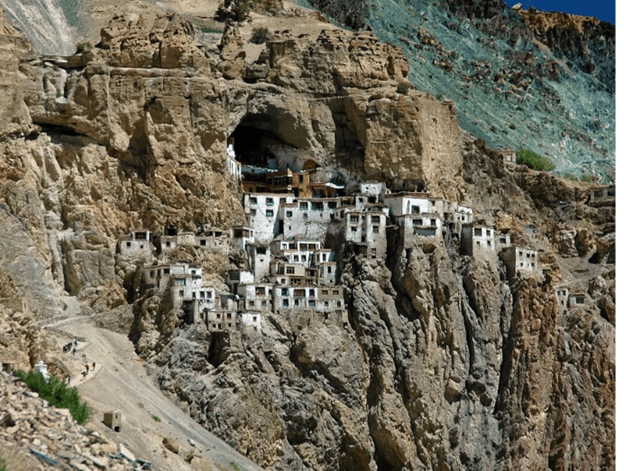 Most of the villages are located in the valleys of the Zanskar river. Zanksari culture is highly influenced by Tibetan culture. People here are very much welcoming, friendly, hospitable, hard working and also easily adaptable to change. As earlier there was Buddhism influenced history, most of the people living here are Tibetan Buddhists. 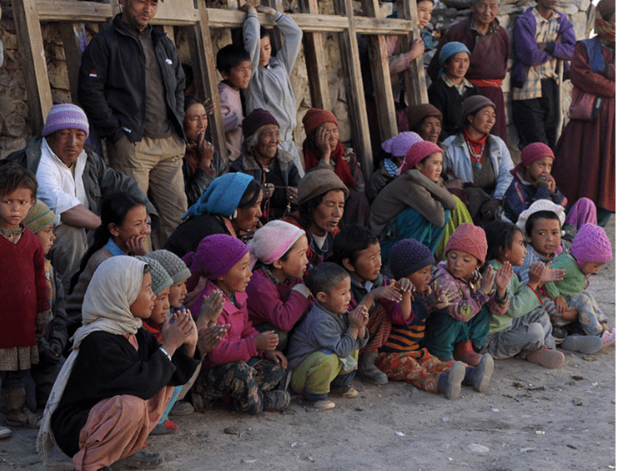 They speak language, Hindi, Urdu and Ladakhi. 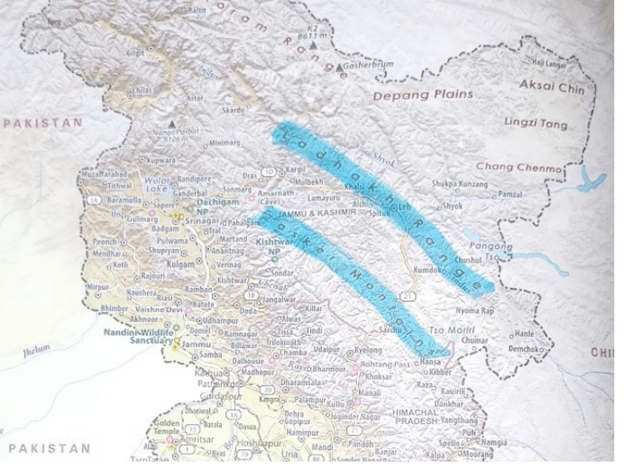 The temperature in this region is generally maintained at minus 300°C in the winter season. And in the summer season, the day is pleasant and gracious. Crops such as Barley, Lentils, potatoes and apricot trees are grown here. Spices like cinnamon, clove, cardamom, saffron and such stuff is used to garnish and also used in the dishes. The food culture followed here by people in this region is very interesting. Of course, their names are really very interesting to here! 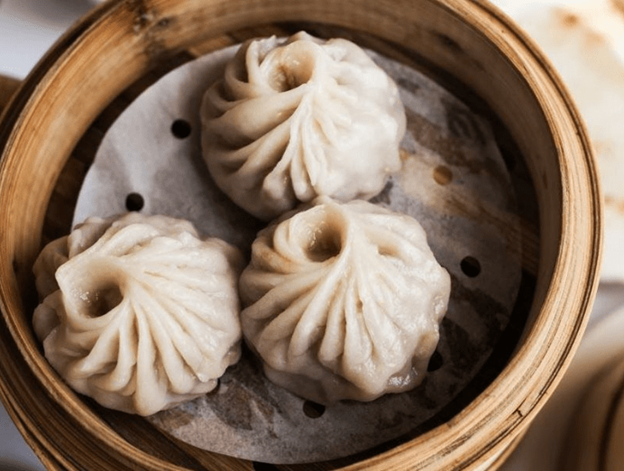 Momos and thukpa are the foods which will be mostly in the must-try list. 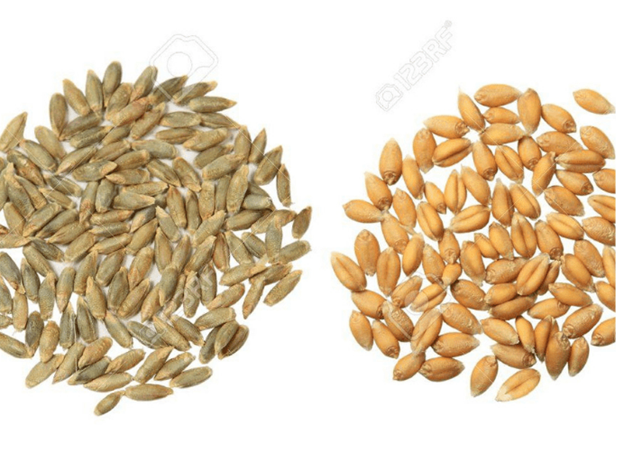 The staple food of this region is Barley and Wheat is also found in adequate. 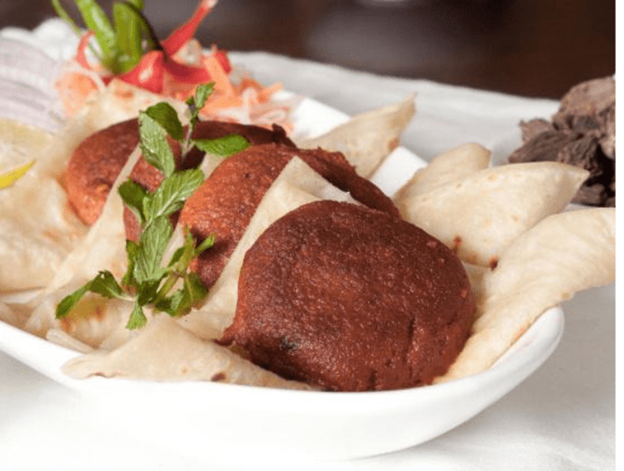 Another interesting food that is famous is Tagi Khambir or also known as Skyurchuk (browned sour dough bread). Tagi khambir is its Leh name. 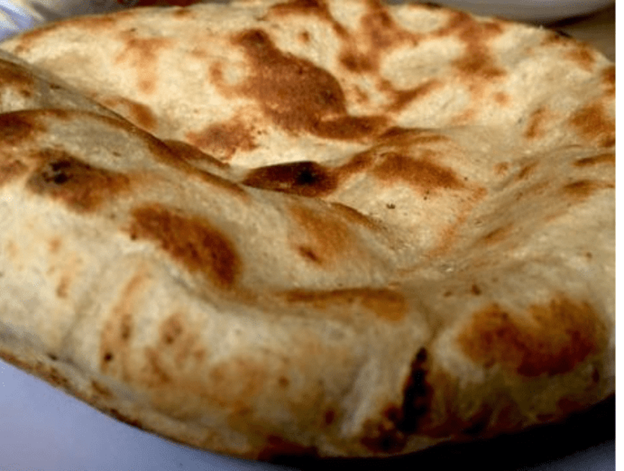 Tagi Buskhuruk is as similar as to Chappati. It is a puffed unleavened bread. 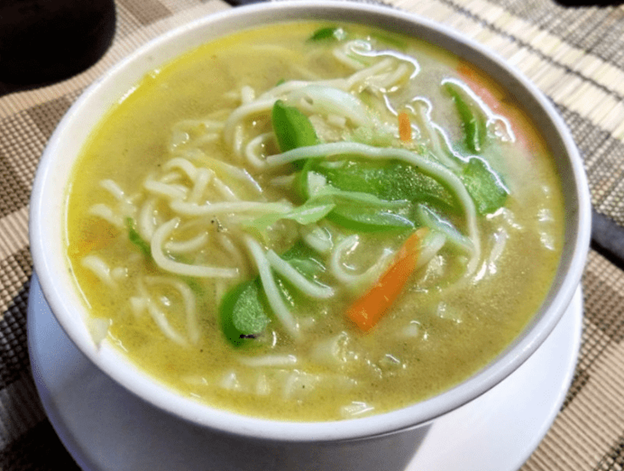 Tagi shrabmo is also similar to this type of food. This hotel is a 3-minute walk from the nearest bus stop along the river Suru. 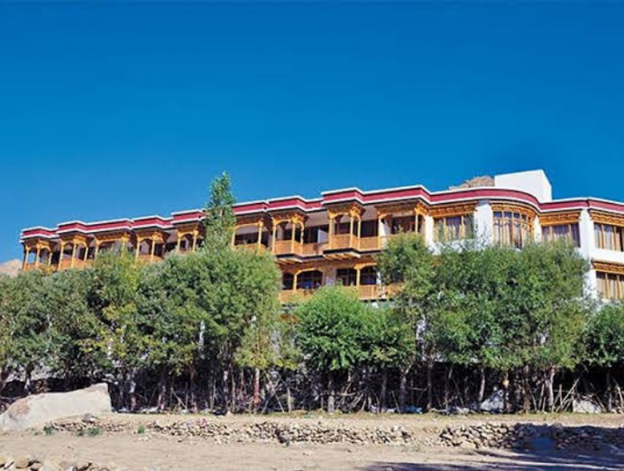 It is near to the Munshi Aziz Bhat Museum and 5km away from the Kargil city view point. The rooms in this hotel are simply decorated and are very comfortable to stay. Facilities like Television, tea and coffee equipment are also available. You can even find sitting areas to chill out at the evening times. Breakfast and the laundry work are free here. Free WIFI makes even more tourists get attracted to this hotel. Wheelchair accessible entrance is also available here. 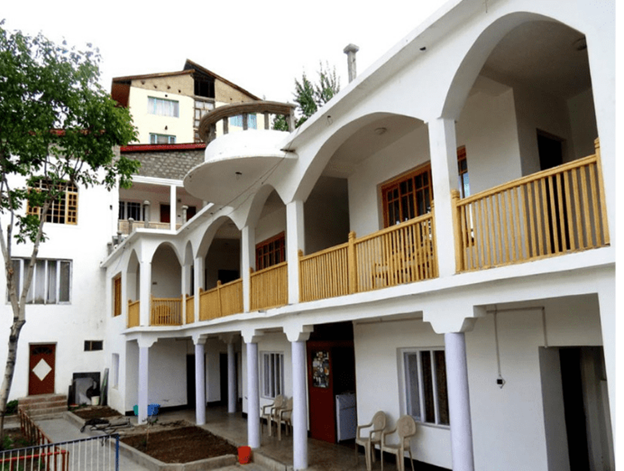 This hotel has 4.5 rating in the Leh region. It is almost 1km near to the Leh palace and also to the Namgyal Tsemo Monestary. And the Kushok Bakula Rimpochee airport is just 5km near to this hotel. 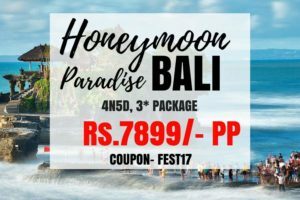 The rooms are very luxurious with a garden outside and many facilities like television, coffee making equipment, furniture, etc., It would be more like a home staying here. It is a pet friendly hotel. Restaurant, free WIFI, free laundry and parking are the added facilities to this hotel. This hotel is nearby BSNL office. The rooms here are adorable with amazing scenery. It is an obvious child friendly hotel. The delicious breakfast is here indeed charged. Free WIFI, parking and laundry services are the added facilities to this hotel. Most of the area is covered with the beautiful flowers named EDELWISS which give the adorable and attracting look to the places. A proof that the Zanskar region is a developing area is that PM Modi has inaugurated Universities in an around the Zanskar region. Most of the tourist’s places are mostly closed for 6 months due to the horrible winter. 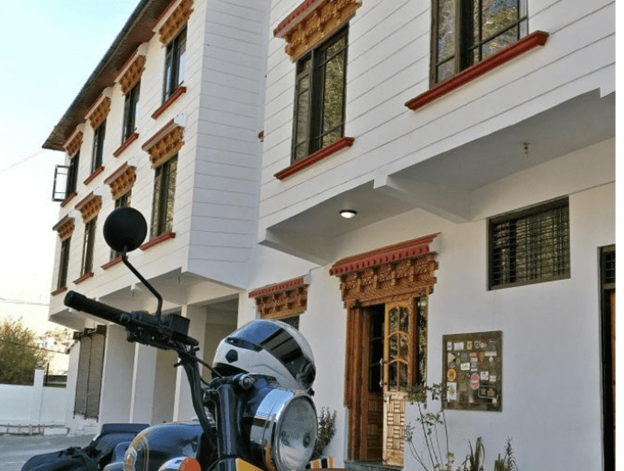 One would really enjoy the tour here around the friendly people and the loveliest and curious places in the ZANSKAR REGION.